BAe half year report states that the MOD has confirmed the Tornado out of service date is March 2019. Personnel and aircraft from RAF Marham have departed for Exercise Shaheen Star, taking place in the United Arab Emirates. 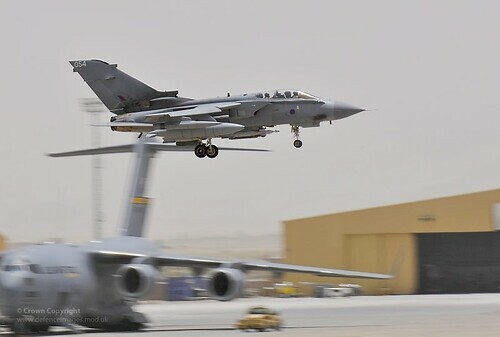 Tornado GR4s from 31 Squadron will conduct intensive training over a number of weeks, working alongside air forces from partner nations in the region. In early 2013, JaboG 32 will disband and about 30 ECRs will be passed to AG 51. 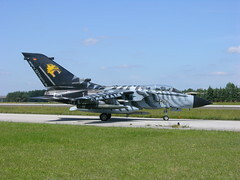 The NATO Tiger tradition may be passed onto a Eurofighter squadron. The Dambuster squadrons four month deployment in Afghanistan ended on the 18th of July. 617 squadron flew more than 600 missions, expending Brimstone, Paveway IV and strafe runs against insurgents. 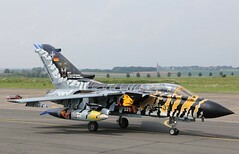 Tornado GR4 operations have been passed onto 2 (AC) Sqn.